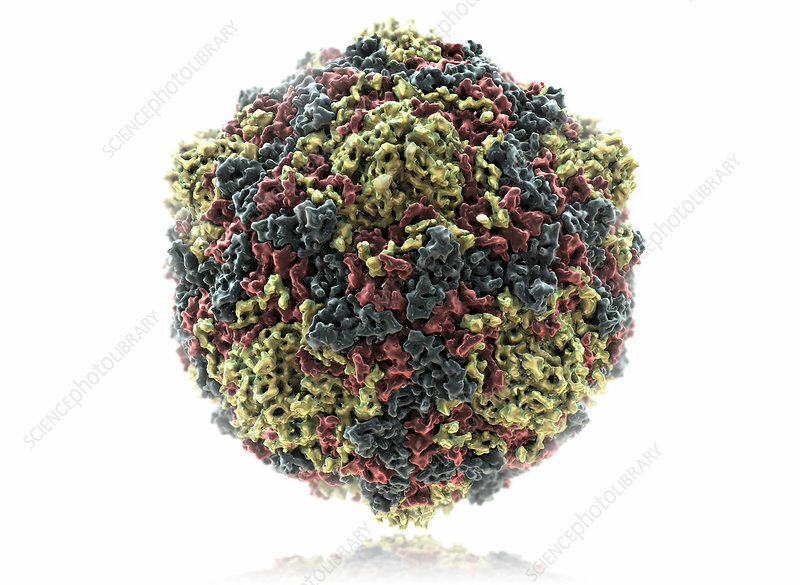 A molecular surface model of coxsackie A virus, a cytolytic virus responsible for hand, foot and mouth disease, an illness most commonly seen in young children under age five. The infection is usually asymptomatic, but can develop into a fever and painful blisters on the inside of the mouth, palms and soles of the feet. Though the infection only lasts approximately one week, there is no known cure or vaccine used for treatment.